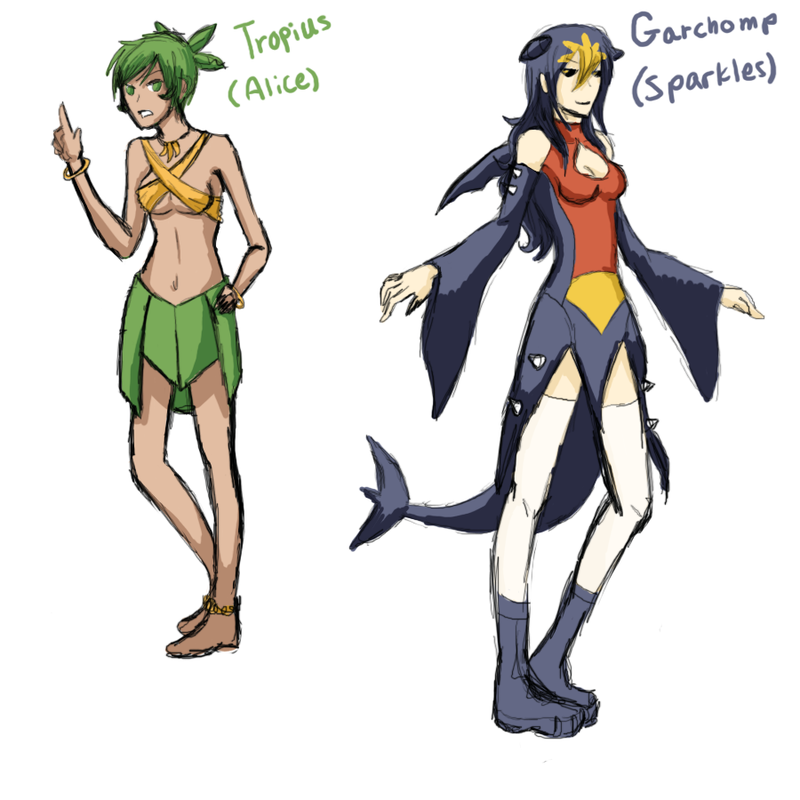 My Garchomp, Sparkles, with my Tropius, Alice. If you're wondering why I named her Sparkles, I caught her when she was a Gabite and the description says that they like shiny things... So... Sparkles.